Sajid, 19 years old boy from Uttar Pradesh, is now living in Rajeev Nagar, Bhalswa Dairy. He had to say no to his higher education because of financial issues. After intermediate, he was searching for a source of income. One day, he knew about the Don Bosco Tech Society center located at Jahangirpuri. To know more about the training program, he went to the centre where he found that there is a project being launched by Don Bosco Tech Society for the needy youth, under which the youth will get free of cost training along with the placement in the entry level job market. Knowing this he was happy and convinced about joining the training programme. Sajid joined the training Programe with a hope that he will be able to overcome the financial issues of the family. His father was working in a factory and his mother is a house wife so the family income is quite less according to their requirement. After counselling, he joined the Data Entry Operator course in Don Bosco Tech. On the first day at the training, he was found to be really nervous. It was for the first time that he was asked to give introduction in front of large number of students in the class room. During the training, he used to be a very shy and quiet boy who was trying to change himself gradually. Towards the end of the training, he turned out to be one of the brightest students of the class. He learned several things about with how to operate computer and speak in English with great interest. He was a keen learner. 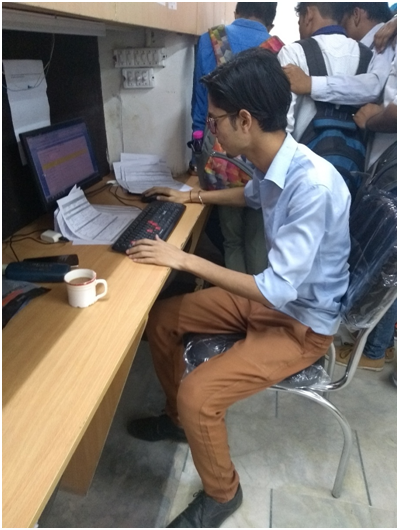 After completing the training programme, he was interviewed by IBFS Company & Lots Whole Sale Solution a well-known company situated in Azadpur, Delhi for which he selected as a Data Entry Operator on a salary of Rs. 8000/- per month.